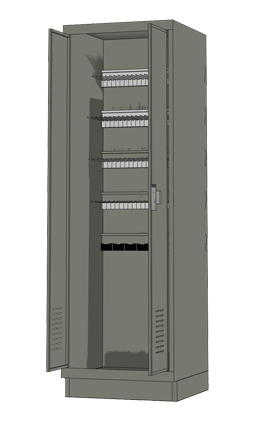 We created the Weapons Evidence Locker (WEL) – to combine all the essential weapons storage features your police department needs in a more space- and cost-efficient solution. Firearm Evidence Storage Made Simpler. Storing firearm evidence can pose a challenge to any police department, but those challenges are even greater for smaller police departments. Not only do the many sizes and shapes of weapons require double security, but they must also be held for an indeterminate length of time. When resources and space are in short supply, it can be difficult to find a secure, organized solution for storing weapons. With durable steel construction, the WEL ensures that weapons are safe from damage, misplacement, or theft. 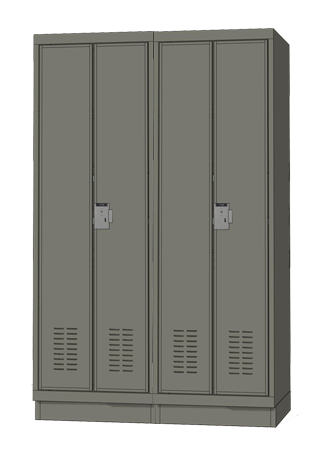 To comply with double-security standards and seamlessly assist in tracking your chain of custody, the lockers come with lock options including padlock hasp, key lock, combination lock, or 10-pin digital lock. One Weapons Locker, Endless Flexibility. 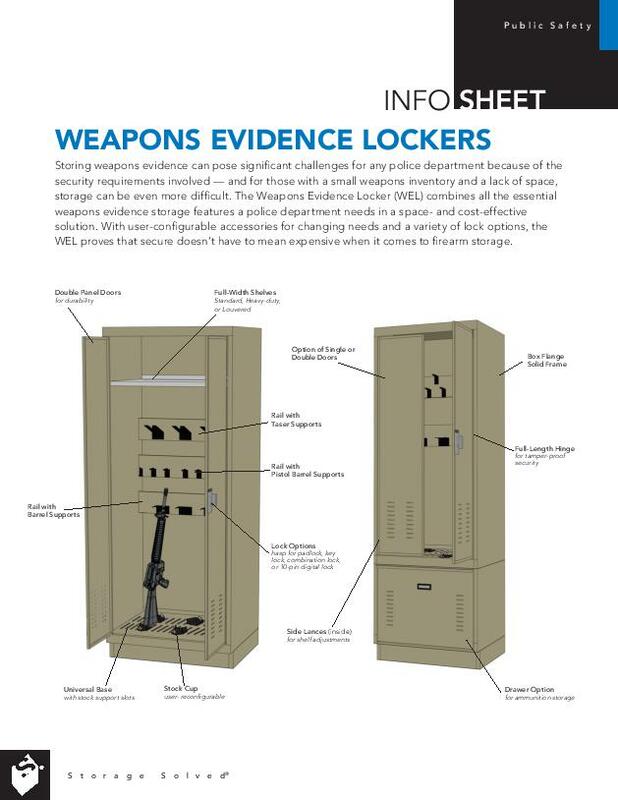 Your department faces its own unique set of challenges, and the Weapons Evidence Locker is built to accommodate them. Configure the locker with the accessories you need most – including weapons racks, bins, drawers, and shelves – to house rifles, shot guns, hand guns, M4, M16, AR-15, MP5, M249, M240, and other small arms. 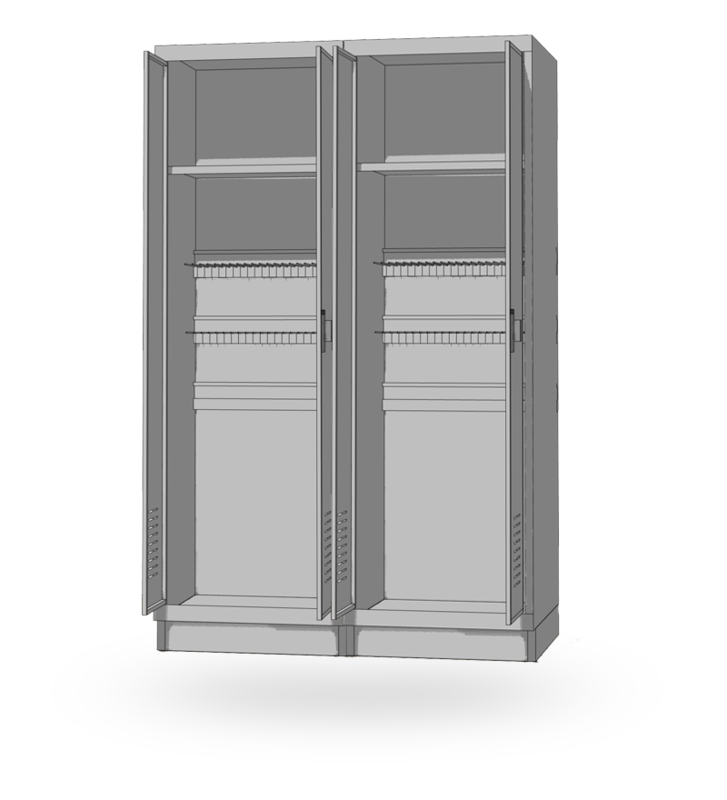 With a user-reconfigurable design, you have the flexibility to change the locker layout as your department’s needs change. DOWNLOAD OUR INFO SHEET FOR MORE INFO. More Than Firearm Evidence Storage. 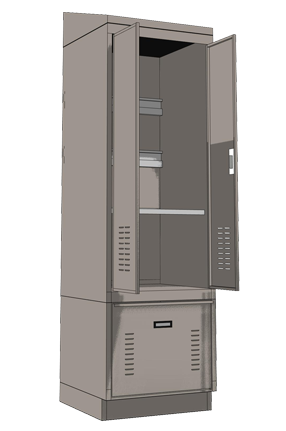 In addition to the WEL, Spacesaver also offers a similar narcotics evidence storage system—the Narcotics Evidence Locker —to meet the drug storage needs of smaller police departments. When paired together, these two systems offer protection for two of the most high-security items in an evidence inventory. Safe and Secure Storage. Contact Us Today!